Are you planning to buy Samsung Galaxy S4 or the HTC One ?? Galaxy S4 is one of the most popular phones of 2013 because of all the hype and publicity done by Samsung and because of its predecessor S3 which is so popular. 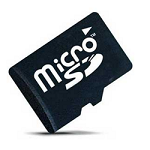 These made everybody expect it to be a good phone. Every body thought of it as a Revolutionary update of S3 but when it came out it was more like an Evolution rather than a Revolution. Although Samsung says they have made over a 100 changes, people don't really see them. All they can see is a Thinner, Lighter, Squarer S3 which also gets some of its looks from Galaxy Note 2. So, S4 remains as a minor update of S3 with some new features and a high power battery. Its new features such as Air Gesture, Smart scroll, Smart stay made it worth waiting for. HTC One is an interesting phone this year for a few reasons. It is the Flagship phone for HTC and it is surely their desperate effort to stay high in the market and is a Must win situation for them mostly because of its predecessor One X which got some good reviews but was Commercially unsuccessful. HTC is clearly hoping this to be the ONE to change their fate and hence the name ONE. Secondly, it is competing directly against two other great smart phones Iphone and Samsung's S4. Just by watching the specs you can tell that HTC has surely taken a few risks trying to get the market share. Most of the emphasis of ONE is on unique hardware and software features. A new camera with an Image sensor to perform well in low light environments and many other features makes it a good pick for anyone. HTC One is probably the best build phone ever made (at least among HTC's). The build quality is one of the biggest differences between these two phones. Build quality is the first thing a person notices when he holds one. The immediate first impression of a phone is how it feels. I must say, HTC stands out in this aspect due to its 'All metal Uni body back design' which also wraps up a bit on to the front side. It has that sturdy and hefty feel when you hold it in your hand which is one of the greatest things about this phone. While S4 feels completely different. It is made of plastic, so it feels flexible and light. If you don't mind a few extra grams in your hand you could go for ONE but if you want your phone to be as light as possible then you can go for S4. Both Plastic and Metal have their own Pro's & Con's but they balance out each other. Another major difference is the Speakers. S4 has a small rear speaker which is ok (you know what i mean), but ONE has these massive stereo front facing speakers which are amazing. HTC calls it 'Boom Sound'. No one else did it this well like HTC. The Beats Audio is surely another plus. 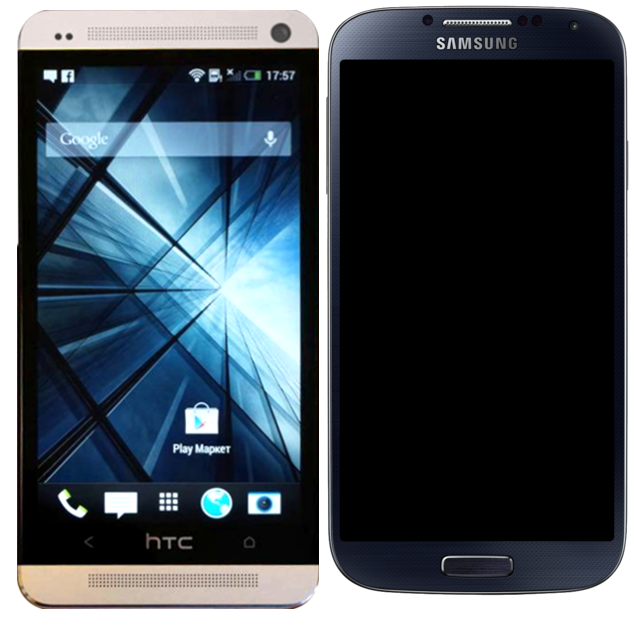 HTC One is a 4.7 inch LCD Screen and Galaxy S4 has a 5 inch SUPER AMOLED screen. Both are 1080P full HD (1,920 x 1,080) smart phones. Both have a crystal clear, razor sharp display. HTC ONE has a bit brighter display because of it LCD screen compared to the AMOLED screen. It also displays more accurate colors. HTC can surely be proud about their high Pixel Density (more pixels in smaller screen). Galaxy S4 is built-in 2600 mAh Li-ion battery while HTC One has a 2300 mAh Li-Po (Lithium Polymer) battery. Clearly, S4 has an advantage in this aspect. It lasts a bit longer than that of One. Further more the battery of S4 is replaceable unlike that of ONE. S4 has one more feature, the battery can be charged wireless. Nevertheless, both S4 and ONE are massive power houses destined to give high performance. The battery life is almost the same in both of these phones. The High clock speed of S4 consumes more battery power and it probably eats away some of the extra advantage because of the 2600 mAh battery. The S4 is getting shipped with the latest version of Android (4.2.2) and Samsung's very own Touchwiz user experience while ONE will be shipping with the previous version of Android (4.1.2) and its own Sense 5. The distinction here clearly depends on your tastes. If you like Touchwiz (i doubt that) you can go for S4 or if SENSE makes sense to you, you can prefer ONE. 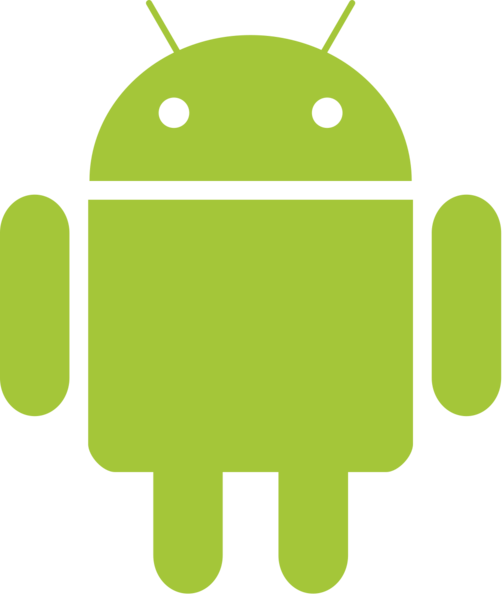 Though ONE will miss some of the updated features of the new version of Android for now, but you can be sure to see the new updates right around the corner. amazingly crisp and high quality images thanks to its 13 MP sensor in almost all times, while ONE can take more detailed images in low-light environments because of its 4 MP camera. 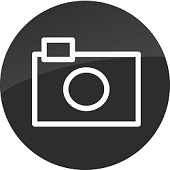 For regular uses and purposes we can't see much of a difference between them, but when we zoom or crop the image ONE's image fall's apart soon enough while S4's picture stay's crisp and crunchy all the way through which gives a photographers advantage for S4. So, if u are a pixel sucker (the one who wishes for more & more pixels) the S4 will be a great choice for you. One soothing thing for ONE lovers is its 'wide angle lens' both in the Front facing camera and Rear camera by which you can include more room in to your shot which is a noticeable difference between these two great phones. Both S4 and ONE are performance drivers. HTC One comes with a 1.7 GHz Quad-core Snapdragon 600 processor. In case of S4's quad-core variant, it has a 1.9 GHz Snapdragon 600 Soc while the octa-core version comes with a 1.6 GHz A15 quad-core cluster and 1.2 GHz A7 quad-core cluster. Since, octa-core versions are less popular, we'll try to ignore them, Which gives S4 a plus in this aspect. But a high clock speed indicates using more battery power and that is why S4 uses a 2600 mAh battery. Coming to response speed, HTC takes on the lead. It is very quick and has a highly responsive touch screen compared to S4, which can stutter sometime, which gives a slight edge to ONE. When it comes to Memory storage Galaxy S4 tends to be more versatile and flexible. S4 comes with 16 GB, 32 GB, 64 GB versions and also comes with a Micro SD card slot which is extendable up to 64GB. HTC ONE comes in two versions 32 GB or 64 GB and does not have a SD card Option (except in china). Both of these are great phones at the end of the day. I will happily recommend anyone of these phones because no matter what you buy, its worth your money and time. Both of them counter each other in their features. So, Either you may buy S4 or HTC One, you can be sure that you'll get the high end quality performance you expect. The only thing i would like to add is to Put your money where ever your interest lies in. So, this concludes the S4 Vs ONE Review. What will you pick ? What do you prefer? Let us know what you think of each of these phones. We would be grateful if you can describe your reasons to pick one over the other. Thanks for stopping by. Have a happy day ahead. Many users choose the HTC One because of its design and performance. Galaxy S4 has the same design as other galaxy series, it look so boring. Well, everybody knows that htc one has got one of the best designs and galaxy S4 looks a lot like S3, But when it comes to performance, as i said, both are almost similar except for the cases where your purposes are beyond ordinary. Then one of these will take over. Though i personally prefer Htc but S4 surely is not boring & its worth every penny you pay for it. How does the new M8 compare with HTC One and may be with S4/S5 too ? Well, There will be an article soon comparing One M8 with One. But for now, we have an First look impressions on One M8. So, you can look at that for now.